Painting is often one of the first tasks people undertake when they move into a new house. It’s an easy way to make the space feel like your own, and for that reason, most people aim to do it fairly quickly. A lot of times, people get hung up on color selections because they’re not sure what to do with all the rooms. Do a search on Pinterest for whole-house paint color palettes, and you’ll get as many results as there are paint colors that exist in the world. When looking for inspiration, this might seem like a convenient shortcut for choosing colors—someone else has already done all the work and coordinated a dozen colors that work well together! Don’t be fooled. 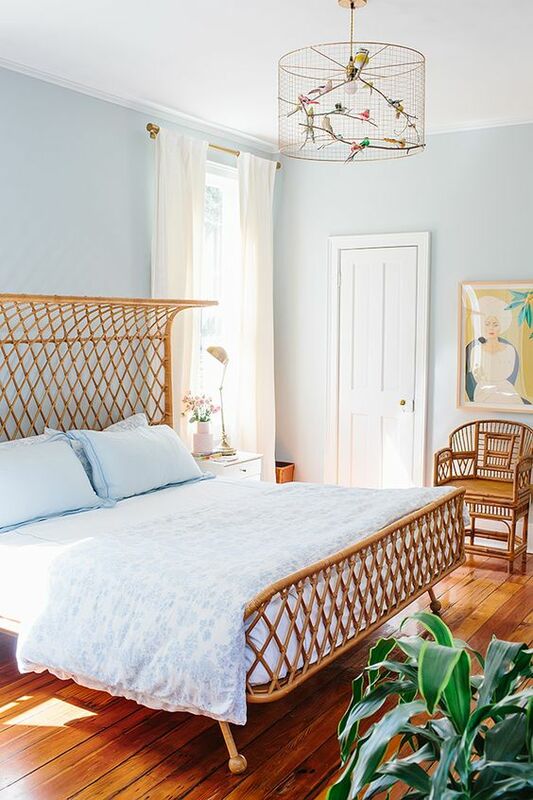 Choosing the right paint colors depends on a ton of factors that are unique to your space—the lighting, the decor, the function of each room. What looks beautiful in one person’s home may end up looking like a total disaster in another’s. Picking paint colors is a time-consuming task, and there’s so much more to it than looking for inspiration online. Buying and testing samples takes a lot of effort, and for many people, the thought of going through this process for every room in their house is overwhelming. There’s a lot of pressure to get the colors right, especially when you plan to hire someone to do the job. The last thing you want to do is feel as though you’ve made a mistake and wind up paying your painters twice because you’re unhappy with your initial selections. Add to this the desire to paint as soon as possible, and it’s hard to strike a balance. Why people do it: This is an easy way to eliminate the stress of choosing multiple colors when you intend to paint every room at the same time. It’s also an economical approach to hiring painters. Rather than painting your first floor now and your second floor later with the intention of picking unique colors for the second floor, choosing one color and painting everything in one big job instead of two smaller jobs will cost less in the long run. When it’s the right choice: When you’re hiring painters for a big job and want to get it done quickly and economically. When you need an efficient way to freshen up a house and create a blank canvas. When you want to take your time choosing paint colors but can’t live with the previous owner’s paint job. Things to consider: The results can end up feeling bland. If you plan to change the paint colors in certain rooms eventually, you’ll end up paying twice to paint the same rooms a second time. Why people do it: To achieve some variation in color but stay neutral in their selections. This is a good idea if you plan to add color to your rooms with your furniture, rugs, pillows, and accessories. When it’s the right choice: When a single neutral color would be too plain but many different colors would feel chaotic. When you switch up your accessories often to update a room’s color scheme and want a background color that will go with anything. 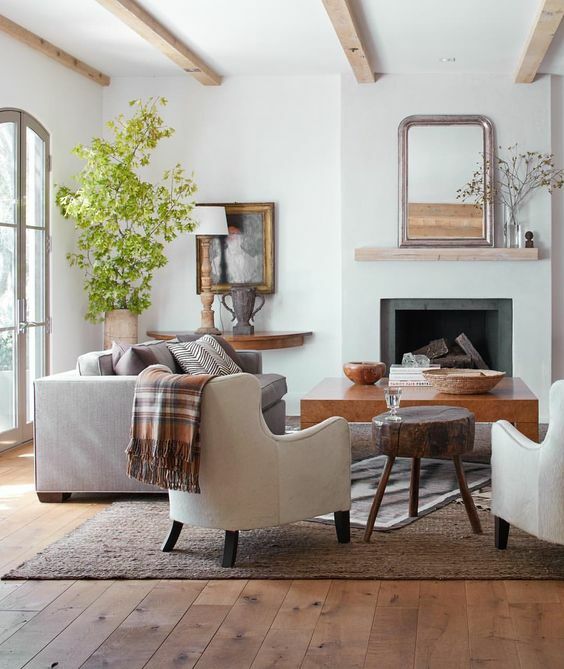 Things to consider: Choose warm neutrals (beiges) or cool neutrals (grays), but don’t mix. Why people do it: This approach to painting is perfect for design-savvy individuals who want a custom look and aren’t afraid to commit to color. The goal is to create a highly personalized aesthetic, and coordinating paint colors with each room’s specific decor achieves exactly that. When it’s the right choice: When you want each room of your house to have a unique look. It’s most successful when you’re comfortable coordinating colors from room to room. Working with color tends to be trickier than working with neutrals, so it helps if you’re game for repainting in case you’re not satisfied with the end result. Things to consider: This look can be bold or calm depending on how many colors you use. If you span the entire rainbow, your house will have a lively look. If you choose to stay within one or two color families, your house will have a calmer energy. Once you decide how you’ll use color, the next step is deciding where you’ll use color. It’s helpful to map out a plan room by room and create a whole-house overview. Think of the rooms in your house as belonging to different zones—public, private, transitional, and central. How do you want to treat each zone? Will your public spaces be colorful or quiet? Do you want your transitional spaces to fade into the background or ooze personality? Is there a central room in your house that connects to all the other rooms and needs to coordinate with several colors? I prefer using color in my main living areas (public zones)—family rooms, living rooms, dining rooms, and playrooms—because that’s where I spend most of my time and am fully able to appreciate a fantastic wall color. I also like using unexpected colors in stand-alone rooms such as powder rooms and bathrooms that aren’t directly connected to any bedrooms. Transitional spaces such as hallways, mudrooms, and laundry rooms are great places to use neutrals because they typically connect to more than one living area and they aren’t spaces where you spend long periods of time hanging out. There are exceptions, however—the more separated and closed off a mudroom or laundry room is, the better the opportunity to use a bold color or playful wallpaper. For private spaces such as bedrooms and en suite bathrooms, I prefer to use a soft, warm color in one space and go neutral in the other. And for home offices, studies, and dens, I recommend rich neutrals (think chocolate brown) or colors that facilitate creativity or concentration, depending on the type of work the space is used for. Kitchens are sort of a different animal, and they can go either way. They tend to be central gathering spaces (central zones), and with open-concept floor plans surging in popularity, a lot of homes have kitchens that are integral to the dining and living spaces. Kitchens can be customized in ways that go far beyond the paint color—the real players determining the personality are the cabinets, countertops, backsplash, and lighting. In some cases, a custom range hood or upscale appliances make a big impact on the aesthetic. A neutral color in the kitchen allows the primary design elements to stand out, but on the flip side, color can be used to accentuate interesting architecture. When a house has good flow, it generally means there’s consistency from room to room. With paint, it also means that the colors relate to one another in a way that makes sense. Alternating between light and dark colors and using harmonious color schemes is the key to creating a whole-house color palette that feels cohesive. If you’re working with a palette of beiges, grays, or a single color, aim to use a variety of shades within your chosen hue. Consider interspersing whites or off-whites in the transitional spaces to break things up. The idea is to avoid creating clusters of all dark rooms or all light rooms. If you’re using a multicolored palette, consider what type of color scheme you want to use (for example, complimentary, which is blue/orange, red/green, yellow/purple, or analogous, which is a combination of three colors next to each other on the color wheel), and consider which paint colors will be visible from each room. Many paint companies market color collections grouped by certain time periods, architectural styles, color stories, and moods. You don’t have to choose colors from only one collection, but it helps to be aware that choosing a classic historical color for one room and a retro midcentury color or a pale pastel for the next will make your house feel disjointed and choppy. Selecting and testing your colors really is the fun part of this process because it’s the point where you can begin to see the possibility of transformation throughout your house. As you sift through bits of wisdom everyone you’ve ever known has given you (including tips from Martha Stewart that you found online and the random memory of the color your best friend’s neighbor used in her living room), keep these points in mind to stave off a breakdown over color confusion. Blogs, books, and magazines are great places to go for inspiration, and you might get lucky and find some great colors with their help. It’s pretty unusual to find a color online and have it look exactly the same in your house as it does in the photo, though. That doesn’t mean these sources aren’t useful guides; it just means that more often than not, your inspirational photos will serve as starting points for exploring color instead of being the final word in your selections. As for using a color that you saw in your friends house, remember that context is everything. It might end up working beautifully in your home, but don’t be disappointed if it doesn’t. Lighting plays a huge role in how paint colors end up looking, and you can’t expect to recreate identical lighting conditions. Forcing yourself to like a color or trying to force a color to work isn’t worth the effort. It’s tempting to go outside your comfort zone and try unusual colors in an effort to make your house look different from everyone else’s, but unless those colors are ones you naturally gravitate to, you probably won’t end up loving them. Take cues from the colors in your wardrobe as well as home accessories such as rugs and blankets. The colors that show up most often are the ones you should consider for your walls. Artwork, mirrors, pillows, picture frames, and even pieces of furniture can do the work of bringing a funky, edgy, or eclectic vibe to your house. Choosing paint colors (even just one!) can seem like a tall order, but it is manageable. When your goal is to get it done quickly, a little bit of planning will make the process easier. Happy painting!